A man is being blackmailed by a hacker who secretly took video of him masturbating. He turns to his friends who work in cybersecurity to help him resolve the issue. We all have worries about identity theft and have concerns that our privacy is being compromised by unscrupulous people in our internet-obsessed age. This is what the film "Life Hack" deals with, though it does so in a very comedic way. The film is written and directed by Sloan Copeland, who has a few other directorial credits to his name including the independent films "Synapse" and "Wet Behind the Ears," both of which have run the festival circuit in the last few years. The film stars Derek Wilson as Charlie, a former hacker who now works in cybersecurity. When his friend Bobby, played by Dylan Pinter, is blackmailed after being recorded masturbating by a hacker, Bobby turns to Charlie and their friend Jack, played by Michael Giese, to help uncover the computer criminal. Meanwhile, an aspiring actress named Carolyn, played by Jessica Copeland, has an altercation with a man named Alex, played by Doug Roland, over a parking space. This leads to her being hacked, but it doesn't stop there. Her life savings is entirely drained from her bank account as well, and she is desperate to get the money back. Carolyn and Charlie eventually cross paths, and he decides to help her. As we mentioned above, cybersecurity is a big concern in our modern culture. With the click of a button or with a couple lines of changed code, your life may be altered forever. You never know who is watching or listening to whatever you do online via your internet-connected device. 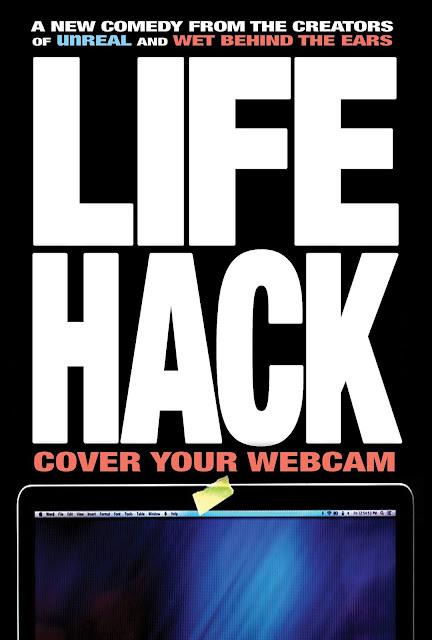 Digital privacy is not guaranteed anymore, and "Life Hack" does an excellent job dealing with this topic in a layman, non-hokey way. Writer/director Sloan Copeland manages to make a very entertaining and humorous movie in the process, one with a lot of funny dialogue and situationally comedic moments. We appreciate that this film doesn't handle hacking as we have seen it portrayed in most big-budget Hollywood pictures where a person simply sits in front of a keyboard clack-clack-clacking away rapidly and shouting computer jargon at the camera with a ticking time clock behind them. Here, someone actually runs a program through a command line, sends a nefarious link through social media, and runs other phishing programs that do all the work. They trace IPs to proxies and do real world investigating when they find out who is involved, though we are surprised how many people in the characters' inner circle know of some random online hacker pulling the strings. We guess it comes with the job territory. We remained engaged by the story told in "Life Hack" and laughed a lot. There's a great balance of computer-related tech talk and relevant, cautionary warnings about digital privacy. There are interesting shakedowns of potential suspects and lessons about karma. It's got a little bit of everything. It isn't a perfect film, but it is certainly an entertaining indie movie watch.